Learn how partnering with top manufacturers allows us to stand behind products we sell and install. Don't deal with different service providers. Learn how we have the experience and expertise. There are many advantages to installing top-quality window furnishings. Learn how you benefit. We receive the vast majority of our customers through referrals, because we make a point of treating every customer's home like it's our own. Our installers have been thoroughly trained to do the job right every time. On the rare occasion that a problem arises, we pride ourselves on getting it fixed immediately. We have been serving customers throughout the San Francisco Bay Area for more than 15 years. 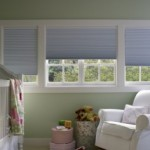 We know you have various options when it comes to choosing a provider for shades, draperies, shutters and other window coverings. What sets us apart is both our extensive experience and our full commitment to customer service. Some other window coverings sellers and installers focus more on making the biggest sale than providing you with what you need. We work with you to find the solutions that are right for your home and fit your budget. We don't believe in high-pressure sales tactics; our only priority is your complete satisfaction. Partnering with top brands allows us to back the products we sell and install. Don't deal with different service providers. We have the experience and expertise. There are many advantages to installing top-quality window furnishings.